Jennifer A. Nielsen’s known for crafting worlds and creating middle-grade characters you love, so why foray into YA fiction? Because her voice belongs there. Welcome to The Traitor’s Game. Kestra Dallisor has spent three years in exile in the Lava Fields. Though the Lava Fields are barren, Kestra’s been happy there. She’s been able to be herself there. She would stay if she could, but when her father, the right hand man of Antora’s cruel king, Lord Endrick, summons her home, she has no choice. What Kestra doesn’t know, but will learn soon enough, is that she’s being used as a pawn by her father, Lord Endrick, and a band of rebels who want to see Endrick overthrown. Kestra reluctantly agrees, but she’s not the obedient captive they expected. Instead, Kestra works to undermine the kidnappers. But the deeper Kestra becomes involved, the more she learns. And the more she learns throws everything off balance. Kestra is walking a fine line, and death is on either side. 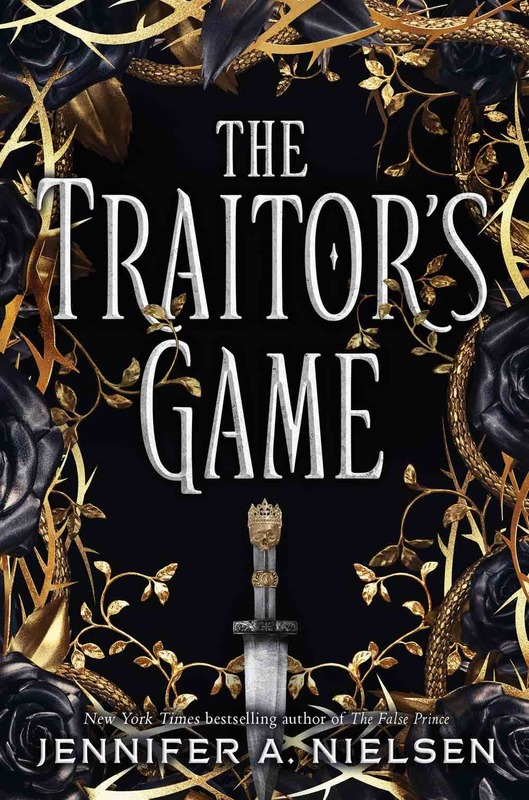 I wish I could say the above synopsis did The Traitor’s Game justice, but after reading the book, you’ll understand how it falls flat compared to the intricate plot Jennifer has weaved. Quite simply: The Traitor’s Game packs a punch. I can’t wait to read the next book in this planned trilogy.